As we head deeper into fall, with winter right around the corner, I wanted to take a look back at the summer. 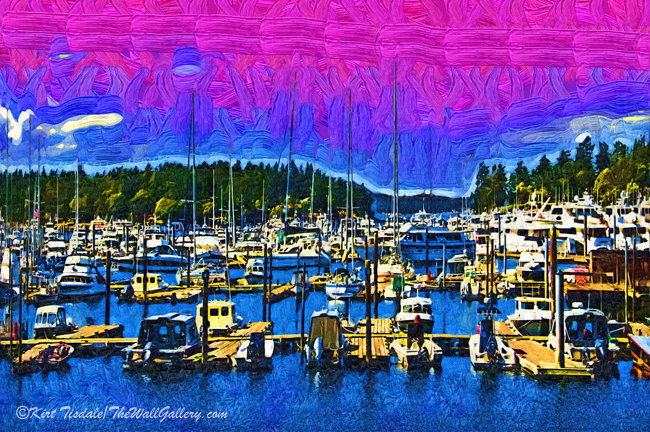 I decided to feature some prints I did from our summer excursion into the Pacific Northwest…reference two prior posts: Henry Island to Anacordes and Roche Harbor . The theme is nautical and warm. The prints I decided to feature today are all done using a fauvism technique. 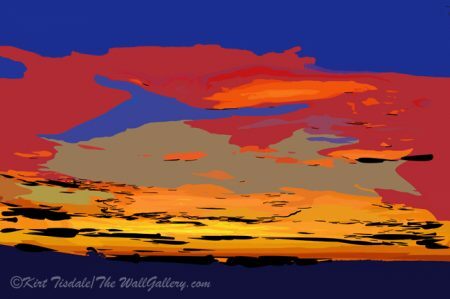 Fauvism was used by a group of modern artists in the early twentieth century. 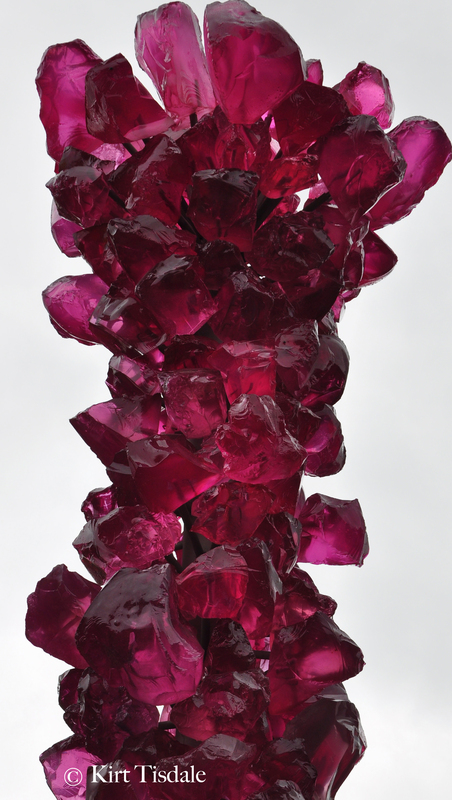 It favored painterly qualities with strong colors over realistic values, giving an abstract feel to a print. 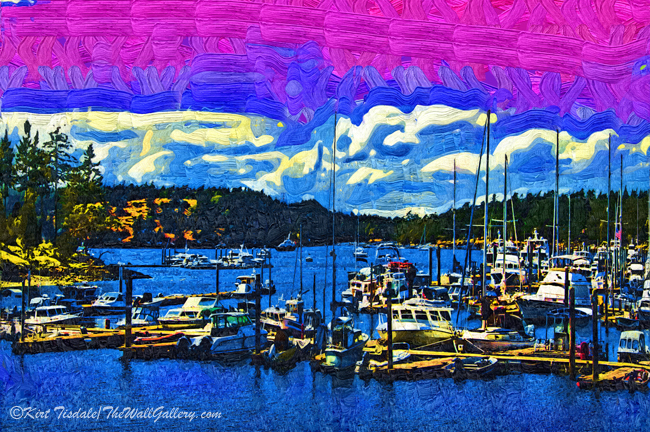 The first print is of Roche Harbor on San Juan Island. The harbor is clearly a haven for numerous boats. The second print is the same harbor, but with a different perspective. This scene is looking across the bay to Henry Island in the background. The other side of Henry Island faces Vancouver Island in British Columbia, Canada. 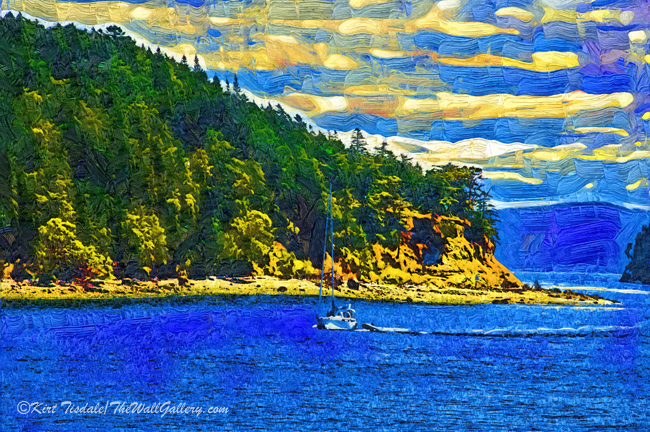 With the third print, the setting is much more subdued with a single sailboat navigating the waters around San Juan Island. 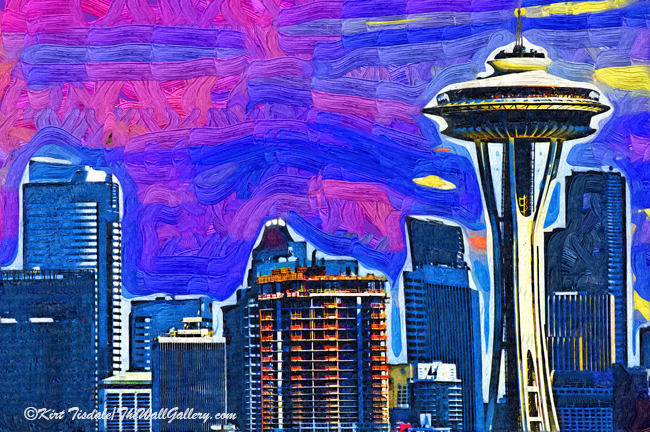 The fourth art print takes us back to Seattle on Lake Union. 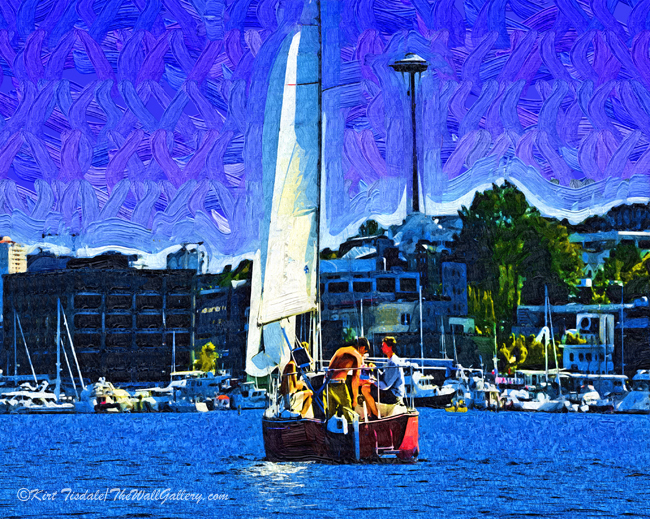 The scene depicts a sailboat with a group of guys enjoying the sun and water (they were packing a large water blaster to soak passing boats all in good fun), with the Space Needle in the background. 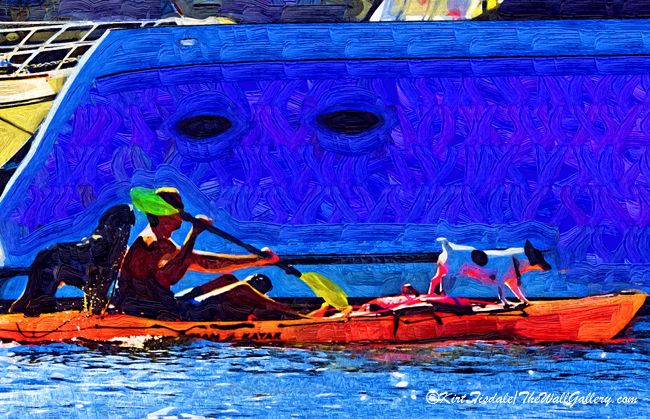 The fifth and final print, also from Lake Union depicts a guy kayaking with his dogs. What could be more fun than that? 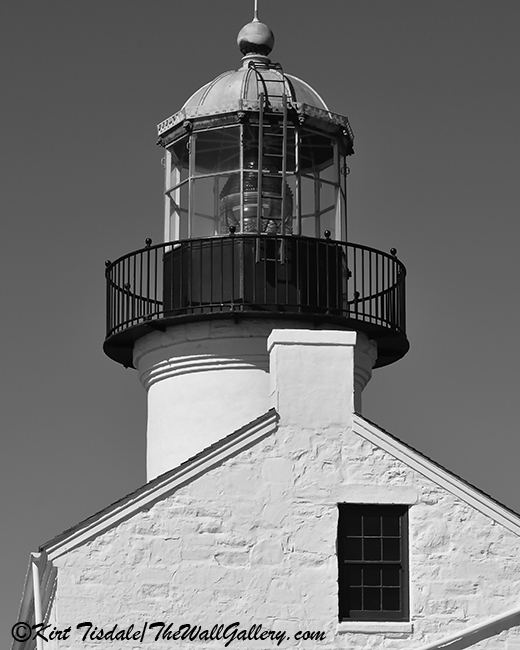 I invite you to visit my Lighthouse/Nautical Gallery to enjoy these prints and many more. 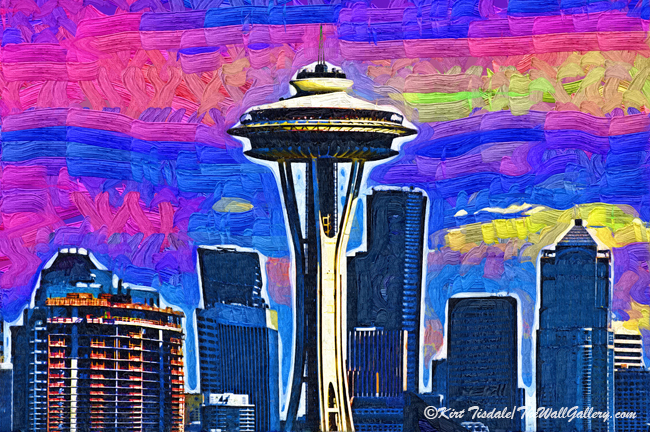 This entry was posted in Abstract Oil, Art Prints and tagged artist kirt tisdale, friday harbor, interior design, nautical, online art gallery, pacific northwest, roche harbor, sailboats, san juan island, seattle, space needle on November 18, 2015 by Kirt D Tisdale. 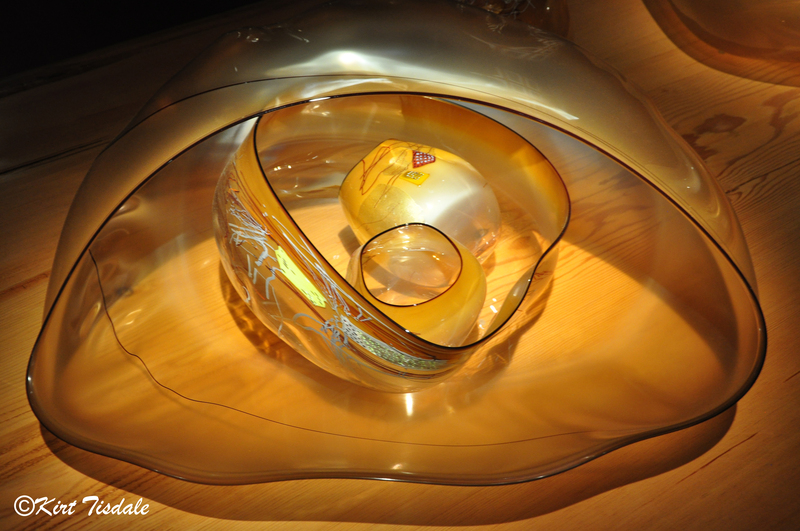 I have received so much feedback from my photo shoot blog on March 3, 2014 Desert Botanical Garden – Chihuly, that I want to revisit that subject. 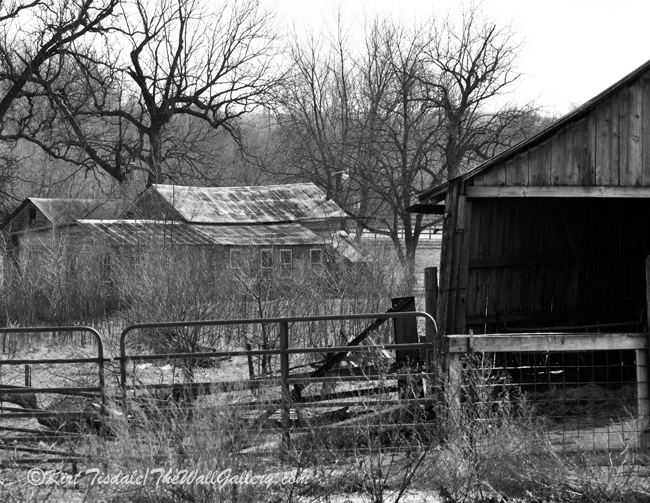 (that’s two revisit blogs back to back…is it a pattern? ) 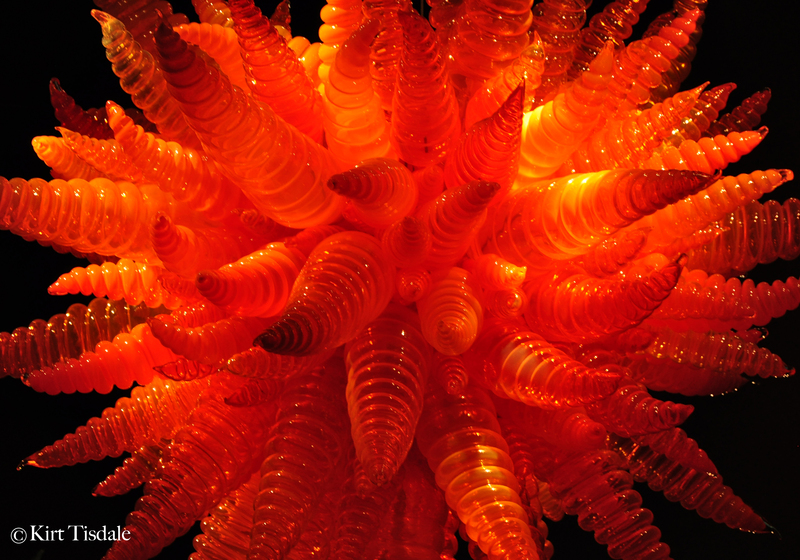 I have heard from a number of folks where there are other Chihuly exhibits and the beauty of them. 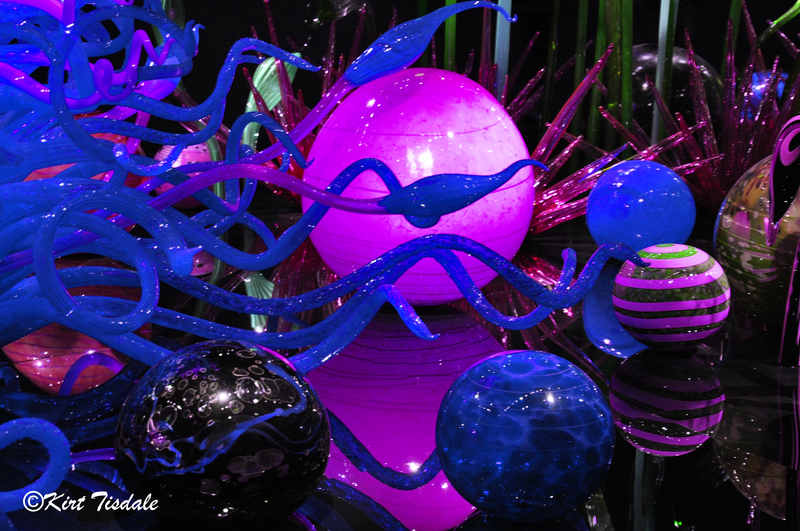 I know I have mentioned this more than once, but the Garden and Glass Chihuly exhibit at the Seattle Center by the Space Needle is almost overwhelming it is so extensive. 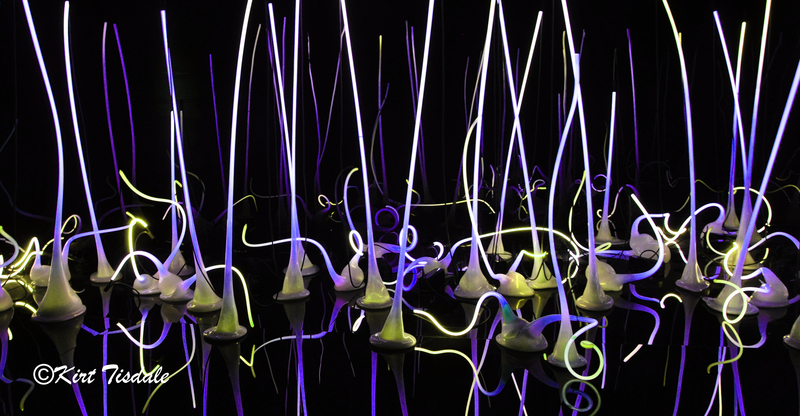 I encourage you to check out their link for even more pictures of how incredible this exhibit is. 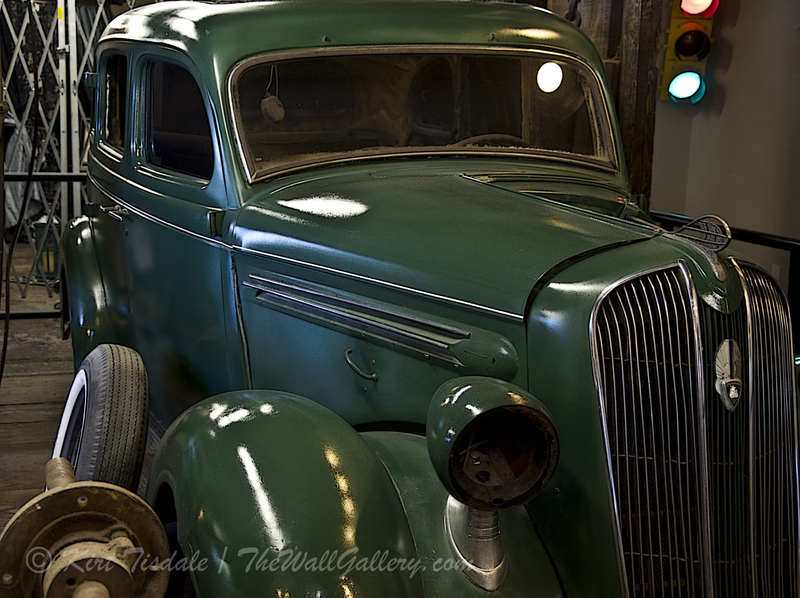 There are a number of exhibit rooms you walk through and when you think you have seen it all, you go into yet another room. 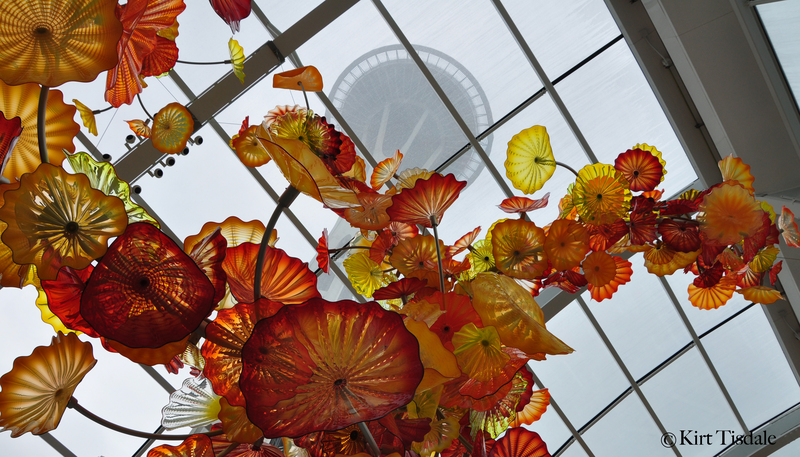 After the exhibit rooms, you walk into a glass house where his work is hanging from a ceiling and as you look up, you not only are looking at his work with the sky as a back drop, but also the space needle. 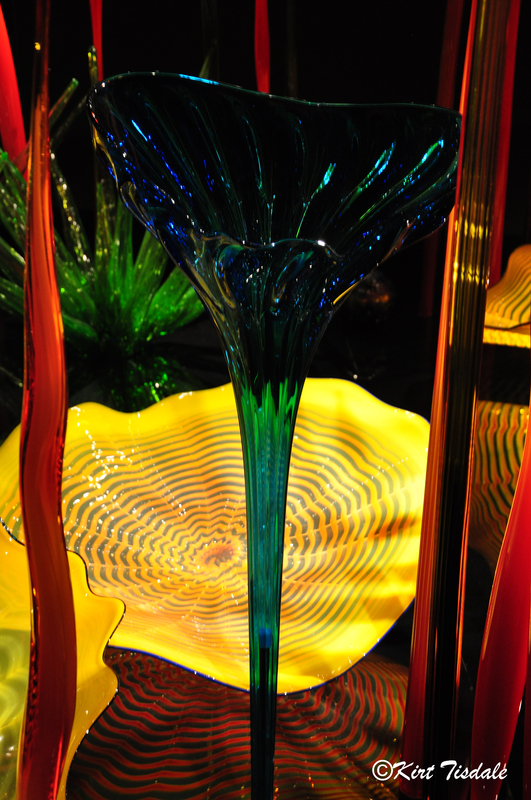 You then head outside for the garden exhibit. 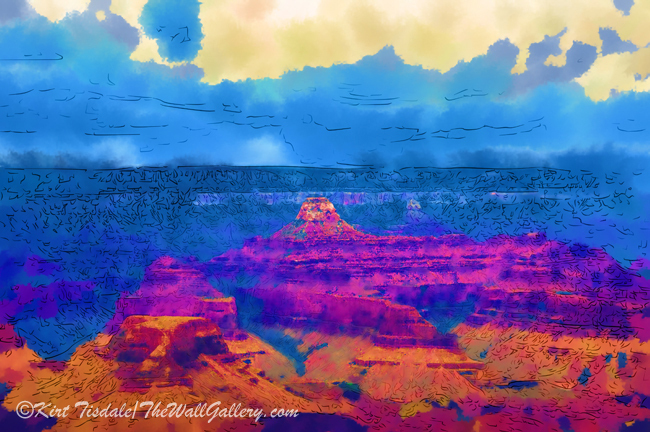 Having shared the flavor of the garden exhibit with my Desert Botanical shoot here in Phoenix, I have attached ten shots from the exhibit rooms. Enjoy!! 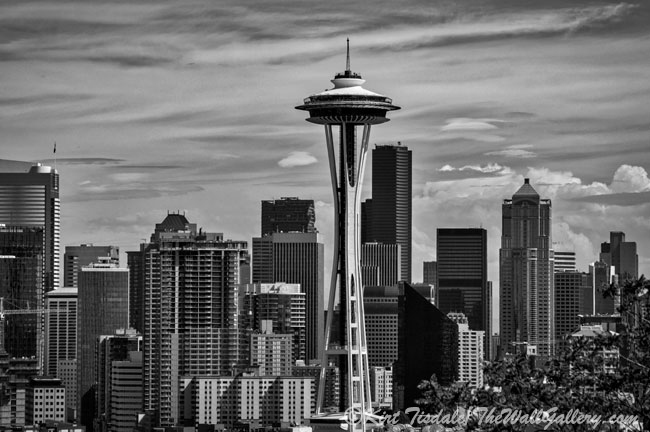 I love this last shot with the Space Needle in the background. 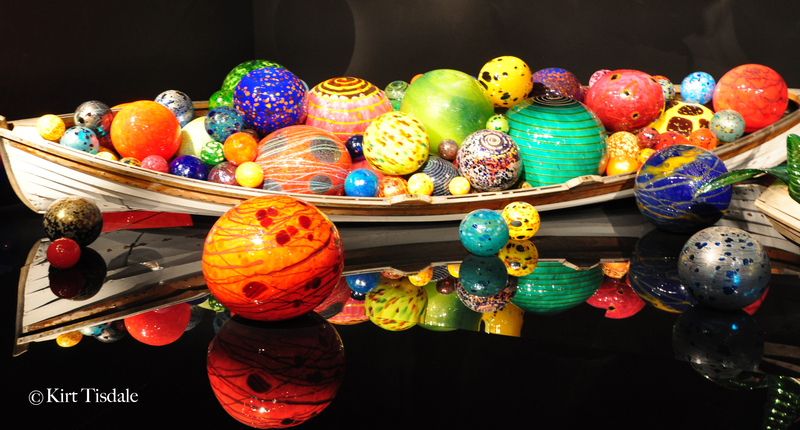 As I stated in my prior blog, these photos are for personal use to promote his exhibits and not to be used for commercial purposes to respect the copyright of Chihuly’s work. 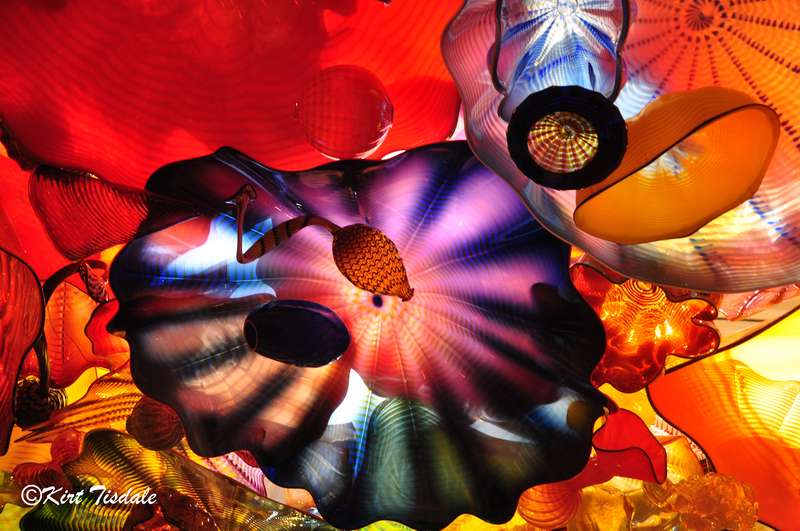 This entry was posted in Color Photography and tagged chihuly, color photography, kirt tisdale, online art gallery, photographer, seattle, seattle center, space needle on June 11, 2014 by Kirt D Tisdale.